I don't know what to say. 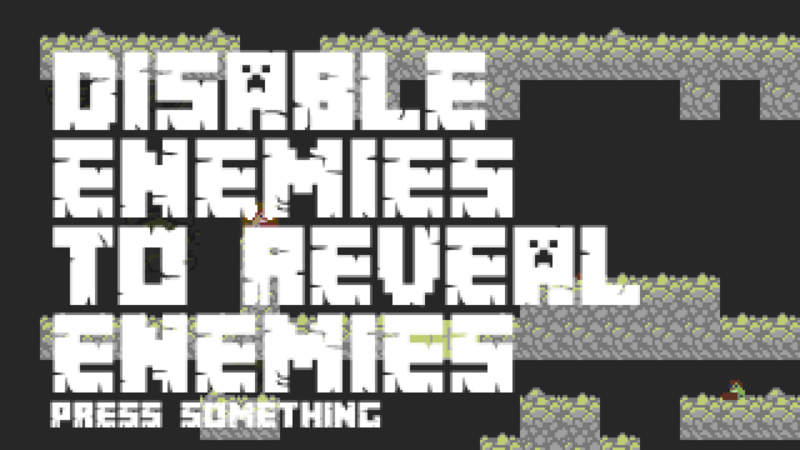 I made this game today on the day of submission. good luck everyone! I have never done a jam before. Recommend playing with an xbox controller. It's an endless perma-death procedural dungeon crawl. Score points by getting to the end of the level. But watch out! some enemies appear as ghosts. 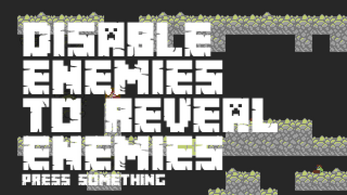 Enabling and disabling enemies via the debug console will show the hidden enemies and hide the visible enemies. Disabled enemies can still kill you. rolling and attacking allows you to do a dash attack. You can also wall jump. You can dodge enemy attacks by rolling. You can tweet me @__R4iNY or say hi@r4iny.net.